The Shack (12) DVD… wow what a powerful adaptation of a book I know very well. I was pleased to see that Lionsgate did not take the very powerful faith element out of the film. 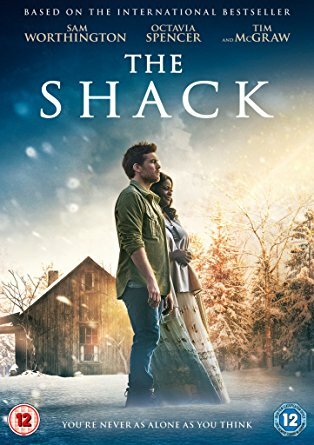 As the credits rolled at the end, I noticed that Wayne Jacobsen had had a large part in making the film, so no wonder it was brilliant, as I think he is a great author. The film definitely needs to be watched with tissues, as your emotions will take a roller coaster ride. The acting was awesome. The viewer really felt both the sadness and the joy in the film. Octavia Spencer was perfect in the starring role… a benevolent Papa who longed to love His children. Her charisma leapt off the screen. Aviv Alush as Jesus played the part with compassion and empathy. Sam Worthington as Mack was incredible, the viewer really ‘felt’ his great sadness. He wore his heart on his sleeve. 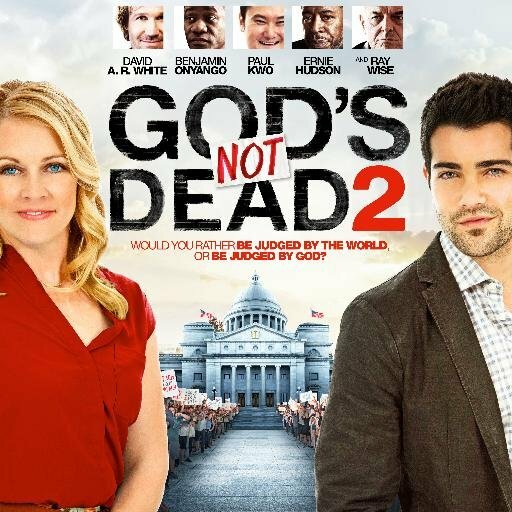 God’s Not Dead II is a wonderful faith filled film. It stars Melissa Joan Hart (Sabrina The Teenage Witch) and the legendary Pat Boone. Having read the book by Travis Thrasher, I knew the story and was keen to see the film. It was a faithful adaptation and a worthy sequel. For the viewer it was great to catch up with characters from the first film. Paddington (PG) is a wonderful family film. It is one bear’s search for a home. A search to belong. The cast included many famous faces – Jim Broadbent, Hugh Bonneville, Julie Walters, Nicole Kidman and more. I just knew that I was going to be in for a great film and I was not disappointed. Paddington has all the elements that a great family film needs – lovable characters, a ‘typical’ family unit, a nosy neighbour and a villain. It is all good family viewing. 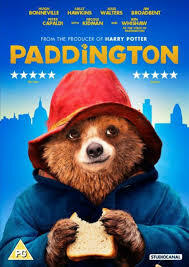 Paddington is delightfully portrayed through animation. Those big eyes could melt the hardest heart – as Mr Brown found out. He was perfectly played by Hugh Bonneville and in complete contrast from his Lord Grantham character in Downton Abbey. 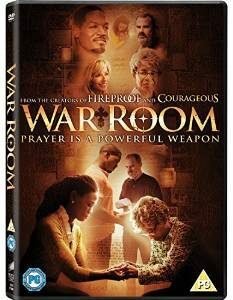 War Room is a powerful Christian movie from the Kendrick brothers about the need for prayer. Prayer connects us to God. God can do what we can’t but we need to give Him permission to act in our lives. The advice is given to “fight all your battles on your knees.” Praying to and hearing from God is essential in our lives. War Room is about battling but battling the ‘real enemy.’ Who is that? The real enemy is the devil who wants to “distract, deceive and destroy.” There is more to life than what we can see. We are in a spiritual battle. To defeat the devil we need to speak out God’s truths and stand on God’s Word.